Hi, I’m Lindsey and welcome to my emporium of treasures and garden games, which are available for you to hire to help you style your wedding, party or special event. I am based in Dereham, the heart of Norfolk and I am passionate about collectables, antiques, vintage items, retro objects and anything pretty. If you are looking for inspiration for your wedding or event, you have come to the right place. 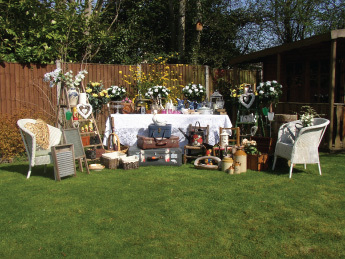 Please browse my website and enjoy my emporium of garden games, rustic, vintage and unusual props, all of which are available to hire. Can’t find what you are looking for, or looking for something specific to hire for your wedding? I am always adding to my collection of vintage hire items, contact me and I will endeavour to source it for you.